Below you can view all the homes for sale in the Green Forest subdivision located in Smyrna Georgia. 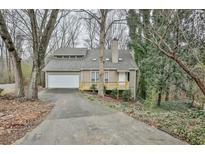 Listings in Green Forest are updated daily from data we receive from the Atlanta multiple listing service. To learn more about any of these homes or to receive custom notifications when a new property is listed for sale in Green Forest, give us a call at 404-998-4102. Close To Suntrust (Atlanta Braves Stadium) Park/Battery And I-75/275. Great Home For The Price. MLS#6525392. Keller Williams Realty Cityside. Very Close To The Silver Comet Trail. MLS#6515169. Chapman Hall Realtors. Close To Restaurants And Great Parks. Down Payment Assistance Available. MLS#6507034. 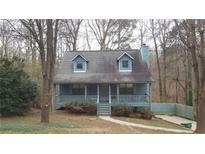 3 Options Realty, Llc..
Two Additional Bedrooms Look Out Into The Woods. MLS#6504379. Palmerhouse Properties.